If you just purchased a reusable water bottle, congratulations! You’re helping save the planet and remove BPA from your diet, but you feel like something from your water bottle is missing. If only there was a way to add some personality to your water bottle. Good news. There is! You can show your style with water bottle stickers, either ready-to-buy or customized. 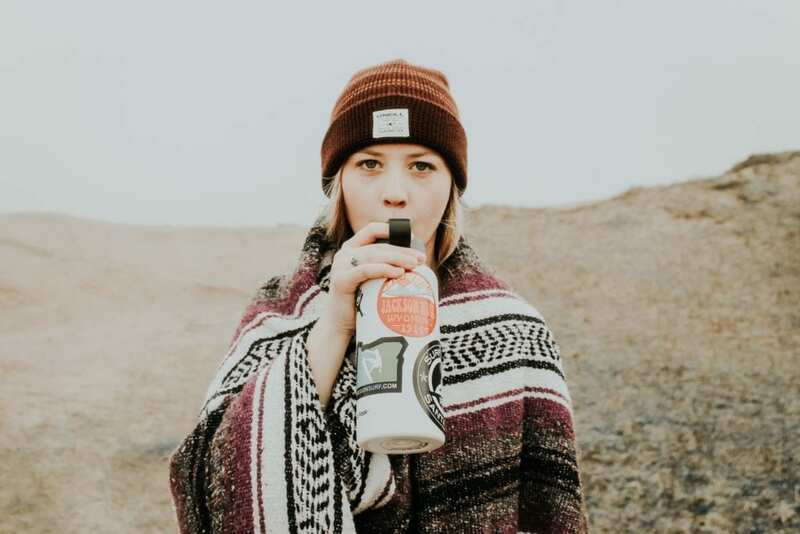 Typically, a good waterproof sticker is printed on high-quality vinyl with a waterproof adhesive which enables it to stick to your water bottle for the long haul and through various conditions such as dishwashers. Many stickers are laminated, which adds further protection from fading, scratching, tearing and water. We all have experienced non-waterproof stickers that fade or rip apart from water exposure. They look ugly and they’re difficult to completely remove once damaged. With the right kind of water bottle stickers, this won’t be a problem for you. The stickers on your water bottle can tell people a lot about your personality. Let’s dive into what some options might say about you. You loved every sticker so much you had to keep going until you couldn’t even see the original bottle anymore. Having this chaotic look could be the look you were going for. There’s so much going on that determining what you’re actually into can be quite difficult. Maybe that’s the whole point. Let’s face it — superheroes were once for nerds. Today, thanks to movies like The Avengers and Wonder Woman, superheroes are cool for a wide demographic. If you have superhero stickers on your water bottle, you’re probably a big kid at heart. Either that or you actually have a child that put their favorite sticker on your water bottle, making you a really cool mom or dad! Sometimes we all need a little reminder to keep our heads up, keep going or as Nike says, “Just Do It.” What better place for an inspirational sticker than your reusable water bottle? 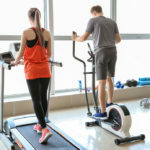 This is an especially great option when you use your water bottle during a workout. Even if you’re using the bottle at work, it can be a helpful reminder to see a positive message as you count down to quitting time. You’re either an avid adventurer and explorer, or you’re trying to remind yourself to be more adventurous. If you have unicorn stickers on your water bottle, you’re simply an awesome human being. You should be very proud of yourself. Even if you got a reusable water bottle in your favorite color, it still looks pretty empty without some water bottle stickers. You were either overwhelmed with too many options or you have a fear of commitment. Sometimes in life, it’s important to make an executive decision. The reason why we believe you should add a sticker or two to your water bottle is so that it’s at least differentiated in case you go running with your friends and they all happen to have the same bottle. There are so many water bottle sticker designs to choose from that picking one (or many) can be overwhelming. To help, we’ve gone ahead and sorted water bottle stickers by average customer review on Amazon.com to highlight the best. Everyone loves unicorns, from the Starbucks’ Unicorn Frappucino to this Unicorn Taco Holder. People are obsessed with the unicorn’s colorful mane and magical look. Today, a lot of people think that unicorns are just plain awesome. Therefore, we’re not surprised to see the FNGEEN Unicorn Stickers as the top-rated waterproof sticker for your water bottle. 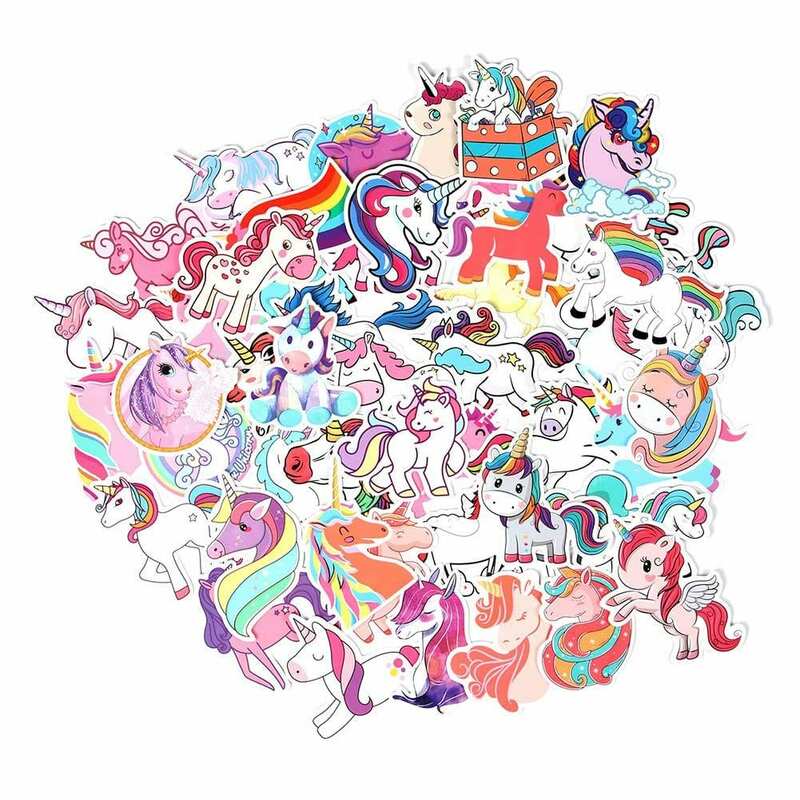 The best part is that 50 different unicorn stickers come in a pack. You can even choose from two different sets. Both sets look absolutely cute and amazing, so you will probably want to buy both. This will give your endless options in how to show the world your love of unicorns. The stickers feature both sun and waterproof protection so they’ll never fade. This is especially important for colorful stickers that are meant to pop. If you have a reusable water bottle, you may be an adventure-seeker who is always on the go. 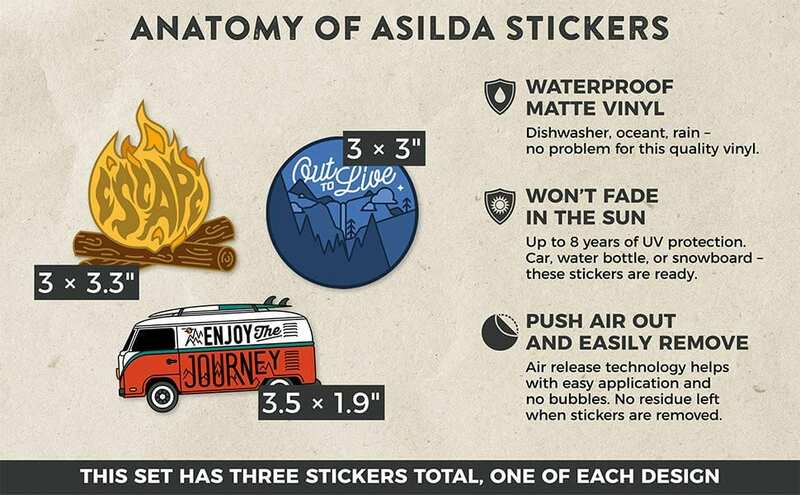 Why not show the world how much an adventure-seeker you really are with the Asilda Store Adventure Sticker Set #2. 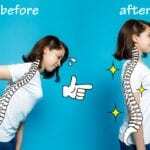 We’re not surprised to see these stickers as the second-ranked set on Amazon as they come with a number of awesome features. Like the unicorn stickers, these are printed on premium vinyl and have UV-protection. 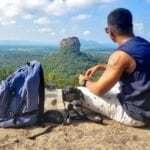 This company knows that its customers are going to be exposing their adventure stickers to a multitude of conditions that arise during adventures, so the company designed them to handle many years of wear from camping, hiking or weather. Who doesn’t love sloths? Sloths are known for being one of the slowest animals on earth, so it was hilarious when the customer service agent at the DMV in Zootopia was a sloth. 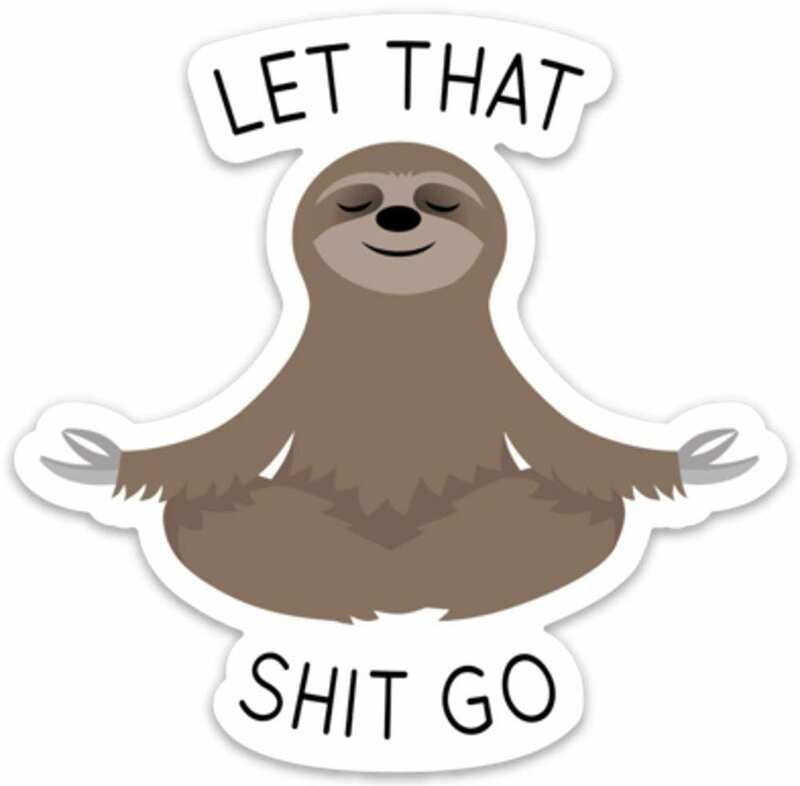 Like the other stickers on our list, this sloth sticker is printed on durable, weather-resistant vinyl and is built to withstand even the harshest weather conditions. The sticker is coated with a premium lamination, which means it’s protected from wind, rain and sunlight. It is dishwasher-safe as well. Star Wars is one of the biggest franchises of all time, dating back to the 1970s from the mind of George Lucas so are not surprised to see a Star Wars-themed decal as being ranked as one of the top five on Amazon. 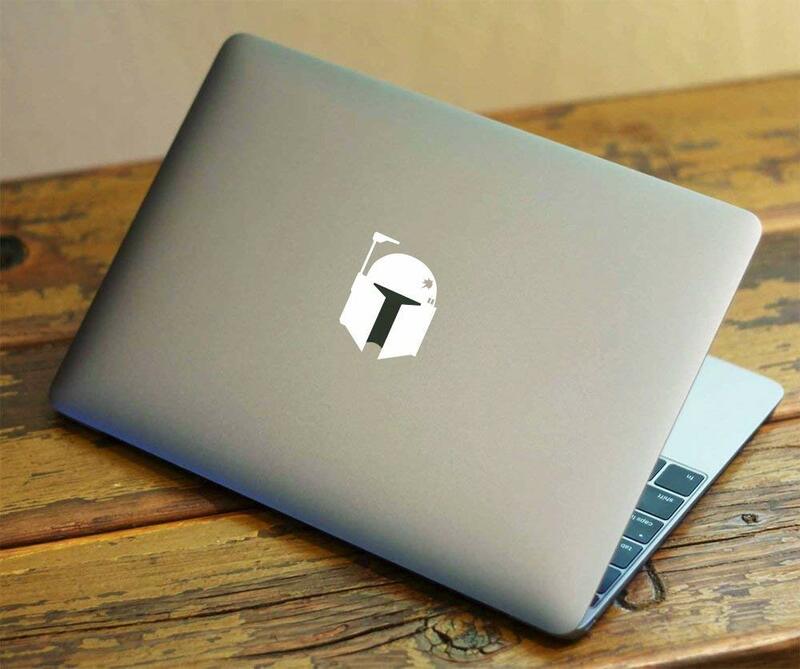 This decal was designed to cover the Apple logo on a MacBook Air so when the laptop is on, it looks like Boba Fett’s helmet is glowing. Pretty cool! But these stickers can also be used on water bottles, even a car! It’s printed on high-quality vinyl and can withstand outdoor elements for more than six years. These stickers clearly aren’t licensed by Marvel or DC as it has a combination of characters from both universes (which these companies would never agree to do,) but it doesn’t take away from the fact they are awesome. 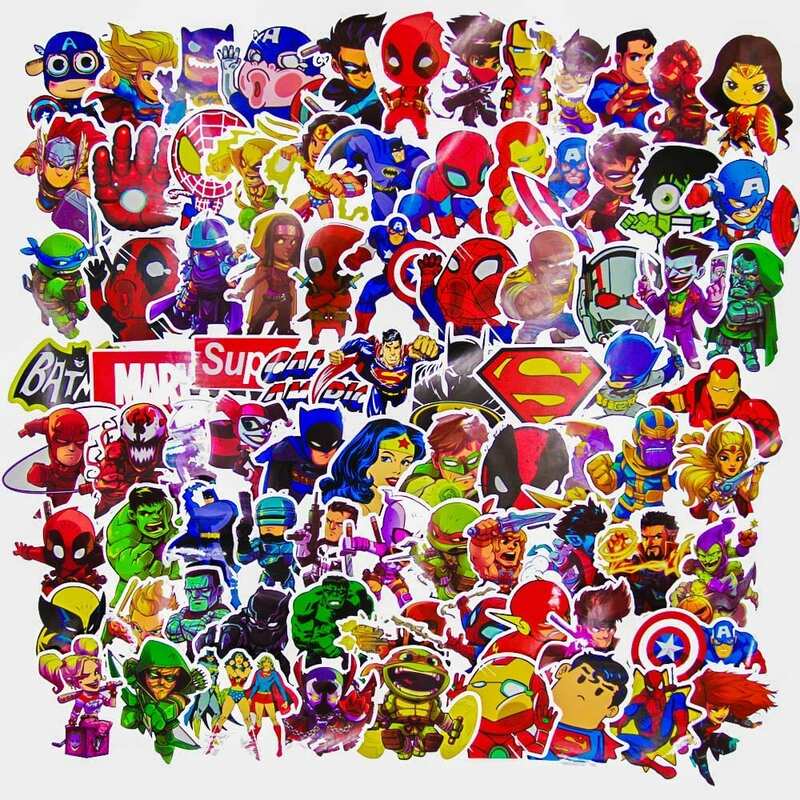 There are 100 stickers in a set with so many various designs of some of the most famous superheroes and villains: Spider-Man, Iron-Man, Luke Cage, Deadpool, Teenage Mutant Ninja Turtles, Wonder Woman, Superman, Doctor Doom and many more! Like the other stickers on our list, these are printed on high-quality vinyl with both sun and water protection so they’re strong and durable, just like these heroes. 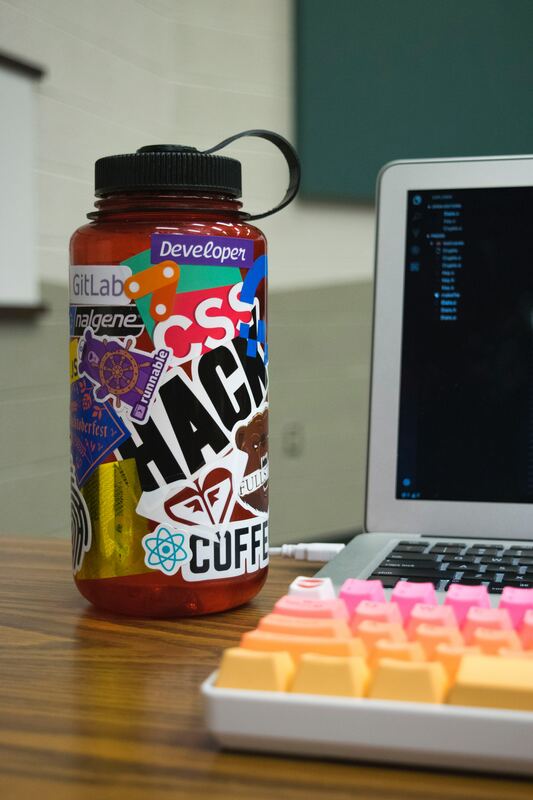 Good news for you is that you can make custom water bottle stickers! Maybe you have your own business and you want to create branded stickers are giveaways. Or maybe you’re an artist or a designer, and you created something that you wanted to sell or share with the world. You can create custom water bottle stickers. One website that we liked is StickerYou as their stickers are waterproof, microwave-safe, dishwasher-safe, removable without residue and can be printed in any shape or size! 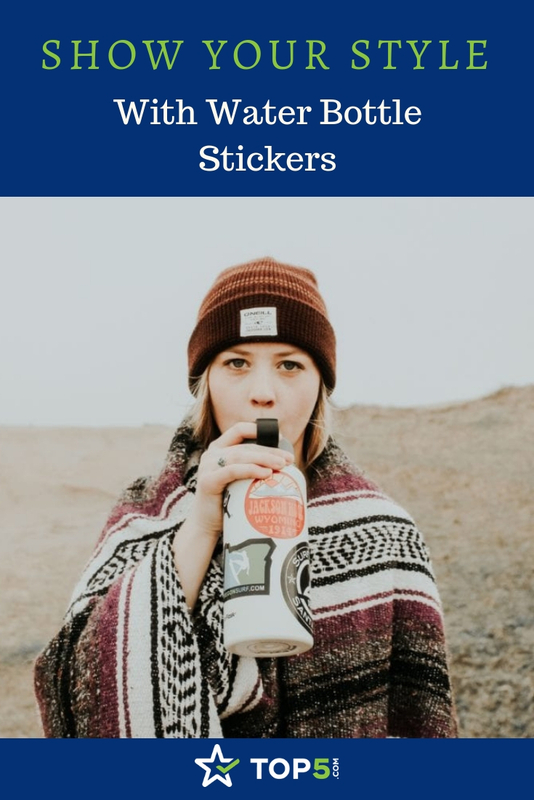 Now that you know a little bit more about water bottle stickers, go out and find amazing stickers that fit your personality!